Younes´s surf house is situated a 2 min walk from Moulay spot, it has three bedrooms, an open kitchen, a shared bathrooms (separate shower and toilet), a garage to store your equipment and a large terrace facing the ocean where you will enjoy the best breakfast and a tasty traditional Moroccan dishes. 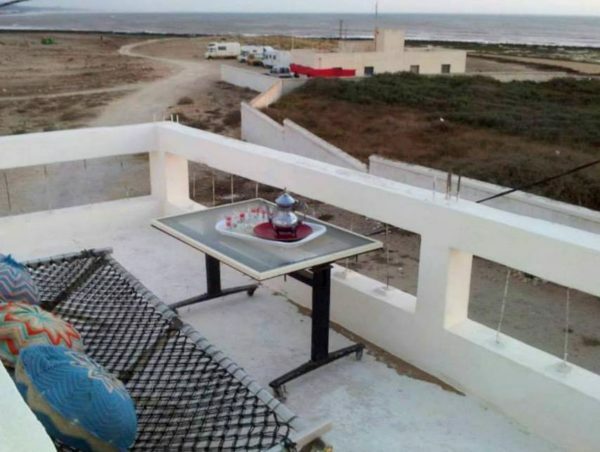 Younes and his family will be at your disposal to make your stay unforgettable in Moulay. Booking and storno conditions see here.